Its time to put away the books and begin a new life in the Real World. Celebrate this new beginning by presenting your new graduate with their very first Personalized Laundry Bag. For fun fill it with detergent and quarters for inspiration. 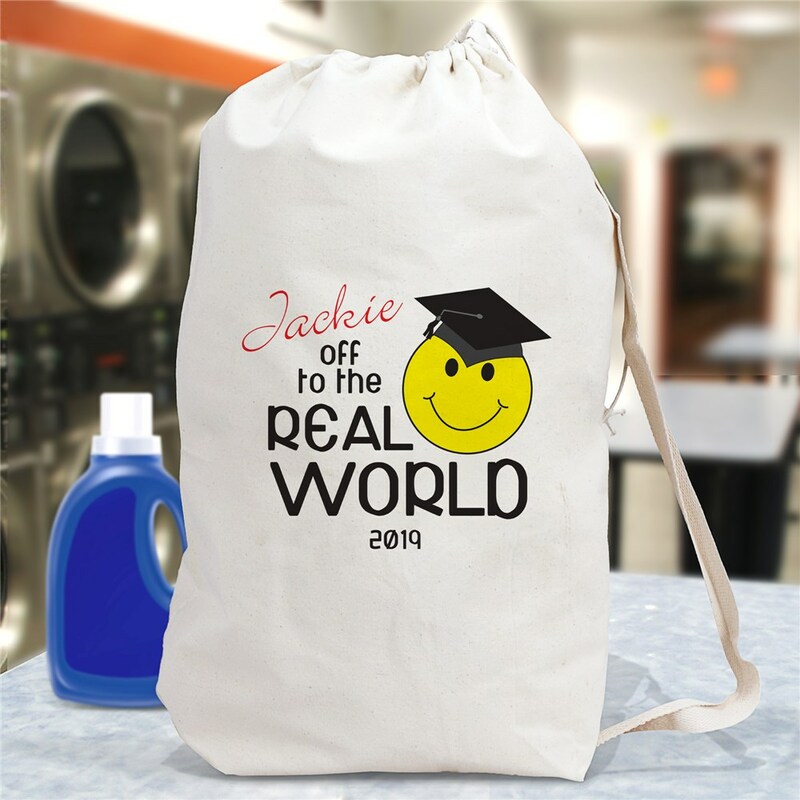 Our Personalized Graduation Laundry Bag makes a good clean gift for any college graduate or apartment resident. Our natural cotton laundry bag measures 19" x 27" with drawstring closure and web shoulder strap; machine washable. Each Graduation Laundry Bag includes FREE Personalization! Personalize your Laundry Bag with any name and graduating year.